Imagine standing on a majestic coastline of midnight black. Before you, sunlight glitters on the deep blue Pacific Ocean. At your back, the snow-capped summit of Maunakea, the world's tallest seamount. Welcome toHawaii Island, where adventures are as vast and varied as the island itself. In the protected waters of Honaunau Bay, painted fishes greet snorkelers like rainbow confetti. A glance across the bay piques your curiosity, inviting you to Puuhonua o Honaunau National Historical Park, a sacred place of refuge. Or perhaps you'll follow the honu, Hawaii's endangered green sea turtles, and bask on the black-jeweled sand ofPunaluu Beach. Take a stroll in the petroglyph fields at Hawaii Volcanoes National Park and explore generations of stories carved into the lava. And as the sun melts below the horizon, follow the glow to Halemaumau Crater where Pele, the Hawaiian Goddess of Fire, commands a show of red and gold under a diamond-strewn sky. These are just a handful of moments you'll discover on Hawaii Island. 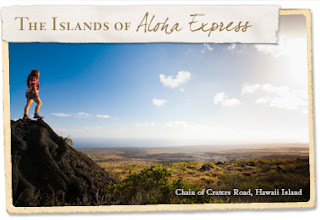 For more adventures, visitKauai, Maui, Lanai, Molokai and Oahu.